Having already deprived vampires of any real bite and declawed werewolves into the bargain, Hollywood now turns its attention to zombies and attempts to tap into their sensitive side with zom-rom-com Warm Bodies. The result, while not quite dead on arrival, still feels a little desperate. Based on the acclaimed novel by Isaac Marion, which puts an undead spin on Romeo and Juliet, Jonathan Levine's film is fun when playing up its more ridiculous elements but all too quickly settles into a slice of generic movie-making. 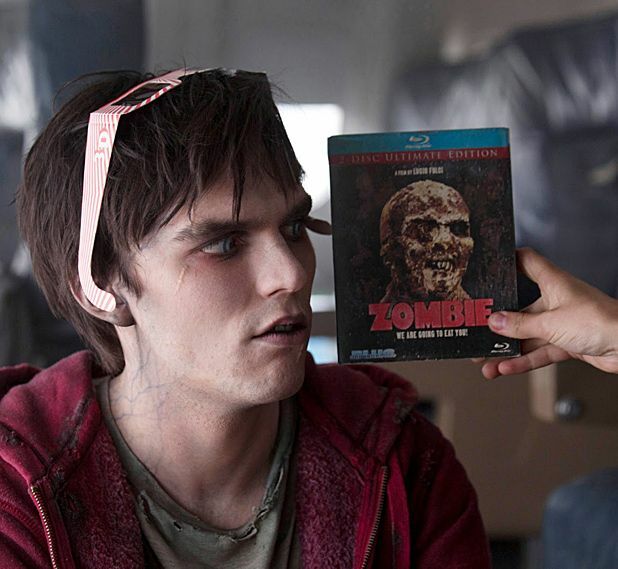 When we first meet Nicholas Hoult's zombie R, he's wandering aimlessly around an airport, lamenting his lot in life via a genuinely amusing voiceover. But while out on a hunting trip with his colleagues he runs into Teresa Palmer's human Julie (a resistance fighter) and is instantly smitten. Kidnapping and keeping her to himself in a bid to make a good impression, R's actions inadvertently trigger a long-lost humanity inside of him and it's not long before Julie comes to see a sensitive side as well. But convincing the remaining human survivors, including her resistance leader dad (John Malkovich), that zombies have feelings is more tricky than it sounds. Levine's film may start out trying to evolve the zombie genre but it soon runs out of steam and slides into more generic, post-Twilight story-telling, which feels at odds with the harsher elements of the genre. On the one hand Levine includes scenes of zombies eating human brains (albeit toned down for the obligatory 12A market), while on the other hand he regularly does away with undead convention when the need arises. Hoult and Palmer provide engaging performances and keep things watchable and Levine's soundtrack is admittedly cool. But overall Warm Bodies struggles to convince.